Across our programme this year there is a focus on exploring human sexuality, gender and identity growing from core themes in several of our exhibitions, including most recently Patrick Hennessy De Profundis and The Passion According to Carol Rama. As part of this focus IMMA presented a day-long seminar entitled Sexuality, Identity and the State (click to listen back on soundcloud) and a talk by internationally acclaimed feminist theorist and art historian Professor Griselda Pollock. In this blog Dr Tina Kinsella responds to Griselda Pollock’s talk Re-thinking the Twentieth Century with Carol Rama and Modernist Artist-Women : Creative Practice as Dissidence in the Feminist Century. You can listen back to the original talk on our soundcloud channel. 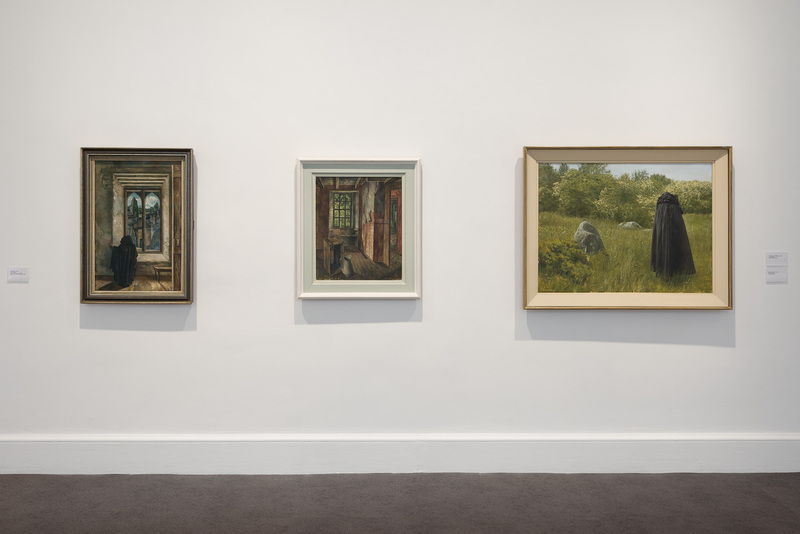 As art theorist and cultural analyst Griselda Pollock confirmed in her recent lecture at IMMA, her enterprise has always been to navigate a critical position through dominant art historical, cultural and institutional discourses. For almost forty years Pollock has made a series of major theoretical, methodological and curatorial interventions that significantly contribute to feminist, postcolonial and queer scholarship in the arts. Alongside her longstanding collaborator Rozsika Parker, Pollock was a founding member of the Women’s Art History Collective (1972) which sought to address the omission of women’s creative practices in the art history canon. Continuing with this theme, in 1981 Pollock and Parker published Old Mistresses: Women, Art and Ideology. Providing a commentary on the modalities by which oppressive ideologies systemically engender the art history canon, Old Mistresses made a seminal contribution to feminist art historical critique by investigating the structural hierarchies of the canon that contribute to the exclusion of women artists in specific ways. In her lecture, delivered in response to IMMA’s current exhibition entitled The Passion According to Carol Rama, Pollock elaborated on this feminist methodology she has developed that probes the ways in which (i) art history is structured by dominant discourses that support masculine dominance of the canon and (ii) thereby contribute to the way in which women artists are excluded by institutional structures. She names this methodology critical dissidence, a mode of disagreement that approaches the discourses of the histories, theories and institutions of art as well as the aesthetics of creative practice from a non-androcentric, non-masculinist and non-patriarchal perspective. Pollock’s critically dissident methodology pressures the traditional discourses of art history, culture and art’s institutions by deploying the psychoanalytic conceptualisation of sexual difference which is based on the premise that sexual difference is neither an innate biological capacity nor merely a social construct. Rather, the psychoanalytic understanding of sexual difference proposes a psychical engendering of difference that is sexualised through the signifying capacities of language and the law . Pollock employs this understanding of sexual difference to mediate a feminist critique that seeks to unpack (i) the ways in which social practices and institutions (including families, education, art studios, galleries and magazines) engender individuals into sexual difference and (ii) to consider the manner in which this inscription of sexual difference into individuals (through familial social and institutional relations) creates and privileges hierarchies of power, economic exchange and exclusion (see: Feminist Interventions in Art’s Histories by Griselda Pollock). This emphasis on the psychosocial construction of sexual difference facilitates a revitalised re-approach to the art history canon, the institutions of art as well as the histories and theories of art, culture and society. This methodological approach scrutinises and reveals the dynamics by which power, ideology and economics structurally intersect to sustain masculine dominance in the canon of art history. Her numerous publications, including Differencing the Canon: Feminist Desire and the Writings of Art’s Histories (1999), Vision and Difference: Feminism and Femininity and the Histories of Art (2003) and Encounters in the Virtual Feminist Museum: Time, Space and the Archive (2007) further this exposition of the endemic inadequacies of the canon and the institutions of art. In Encounters in the Virtual Feminist Museum Pollock ironically poses an alternative to art institutions. Rather than being a museum that can be realised in actuality, the virtual feminist museum is an imagined “feminist space” that would undertake a critical interrogation of the institutional systems that ‘some call patriarchy and others phallocentrism’ (Pollock, 2007, p. 10). The matrixial theory and creative practice of artist and feminist psychoanalytic theorist, Bracha L. Ettinger underpins Pollock’s proposals for the virtual feminist museum as a space of encounter and mode of becoming. (see: Reading With: Griselda Pollock, Bracha L. Ettinger – I). This feminist space potentialises a non-phallic and non-fascist ‘poiēsis of the future’ by forging alliances between ‘argued responses, grounded speculations, exploratory relations, that tell us new things about femininity, modernity and representation’ (2007, pp. 10-11). Inviting us to consider how through art we might re-evaluate ‘our relation to our own histories, histories of how we shall live with, beside, after and behind the pain of others’ (2007, p. 197), Pollock’s feminist space makes a political intervention in our time by posing pressing questions to our cultural memories and legacies. Pollock’s continued probing of the dominant discourses circuits embedded in the art history canon and in institutional spaces remains highly pertinent today. In her more recent works, such as After-Affect/After-Images: Trauma and Aesthetic Transformation in the Virtual Feminist Museum (2013) and Art in the Time-Space of Memory and Migration: Sigmund Freud, Anna Freud and Bracha Ettinger (2015), Pollock has continued to disrupt the classifications and definitions that govern the museum and contribute to the production of unequal power relations and incommensurate economic circuits. But further to this, these recent works locate artistic practice and process with a contemporary landscape of memory, trauma and post-trauma. Within the contemporary conditions of late modernity this is a profoundly political feminist interruption in contemporary art discourse which has emphasised the futility of post-modern moment. Pollock consolidates the theoretical and methodological feminist inventions she has made in the theories and histories of art, culture and society. Her provocation of critical dissidence as an act of disagreement provides a model by which feminist practitioners can strategically navigate and “trouble” the structural inequalities in the canon and in art institutions. The foregrounding of sexual difference, which is not based on biology nor on socialisation or sexual orientation, adds to the feminist conceptual toolbox by providing a contemporary vocabulary for the manner in which power continues to operate and oppress through language, the law, modes of representation and symbolisation. Finally, Pollock’s proposals for and invitation into the virtual feminist museum offers a re-calibration and political reconfiguration of the histories that press upon, act through us and the virtual scenes we can imagine in which we might act. These cluster of possibilities advance an ethical gesture towards the future that affirms the aesthetic potential of the art encounter to render a feminist artistic practice, analysis and imaginary possible. 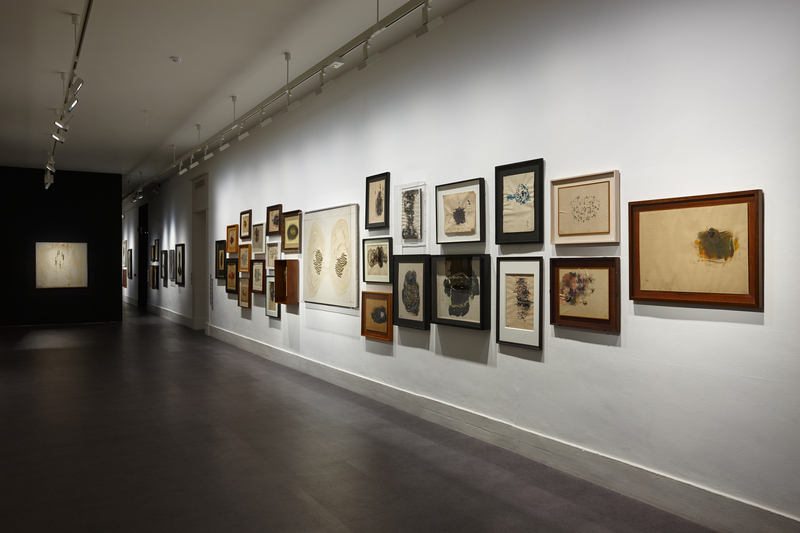 The exhibition The Passion According to Carol Rama is now in its final week, ending Bank Holiday Monday 1 August. Admission is Free. Dr Tina Kinsella is a Research Fellow at the Centre for Gender and Women’s Studies, Trinity College Dublin, a Fellow at the Graduate School of Creative Arts and Media (GradCAM), Dublin, and a lecturer in Visual Culture and Critical Theory at the National College of Art and Design and the Dublin Institute of Technology. Her research, teaching and writing is transdisciplinary, drawing on philosophical aesthetics, ethics, psychoanalysis, affect theory, gender and queer theory, to interrogate the operation of desire, memory, trauma through artistic practice, process and the performative politics of the body. Recent publications include ‘Representing Desire? Reconsidering Female Sexuality and Eroticism inUmbilical’ in Performance Ireland Journal (2016); ‘Liquidities — Transactive Border Spaces and Threshold Structures (Between the Harbour and the Sea) in Performance Research Journal (co-authored with Silvia Loeffler), Vol 21/2 – (2016); ‘On the Threshold of the Horrible: The Recent Drawings a of Alice Maher’, Glorious Maids of the Charnel House, Kevin Kavanagh Gallery, Dublin (2016);‘Sundering the Spell of Visibility: Bracha L. Ettinger, Abstract-Becoming-Figural, Thought-Becoming-Form’ for the 14th Istanbul Biennial, published in And My Heart Wound Space Within Me:, Griselda Pollock (ed. ), Wild Pansy Press (2015). 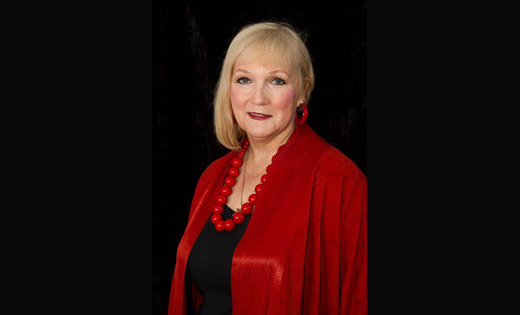 Professor Griselda Pollock is known for her consistent exploration of feminist theory and cultural analysis, her recent publications include After-affect I After-image: Trauma and Aesthetic Transformation, (2013). Forthcoming are From Trauma to Cultural Memory: Representation and the Holocaust and The Nameless Artist in the Theatre of Memory: Life, Death, Love and Loss in Charlotte Salomons Leben? Oder Theater? (1941–42). With Max Silverman, she is co-editor of Concentrationary Cinema: Aesthetics as Political Resistance in Alain Resnaiss Night and Fog (Berghahn 2011), Concentrationary Memories: Totalitarian Terror and Cultural Resistance (I B Tauris, 2013), and in press Concentrationary Imaginaries: Tracing Totalitarian Violence in Popular Culture (2015) and Art in the Time-Space of Memory and Migration: Sigmund Freud, Anna Freud and Bracha Ettinger (London Freud Museum and Leeds Wild Pansy Press (2015). 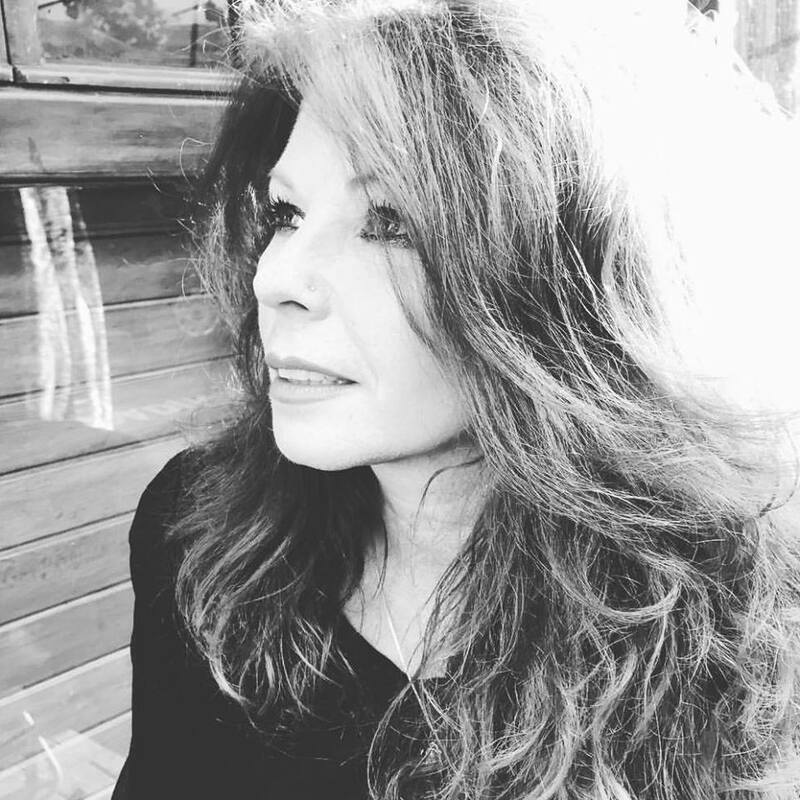 Professor Griselda Pollock is Director, Centre for Cultural Analysis, Theory & History (CentreCATH) and Professor of Social & Critical Histories of Art, School of Fine Art, History of Art & Cultural Studies, and University of Leeds.